Al Saad Indian School, Al Ain is a part of Bharatiya Vidya Bhavan, a premier institution providing education in India. 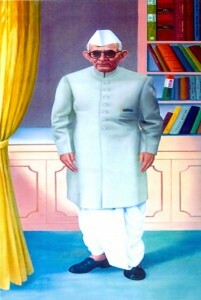 Bharatiya Vidya Bhavan was founded in 1938 by Dr. K. M. Munshi, a far-sighted visionary and practical idealist, who was also one of the chief members of India’s constituent assembly. The Bhavan has the blessings of Gandhiji, the Father of the Nation and other stalwarts of the Indian National Movement like C. Rajgopalachari, Sardar Patel, Dr. Rajendra Prasad, Jawaharlal Nehru. It represents Indian culture and reflects the ethos of Indian traditions in its true spirit. Today, the Bhavan is running over 400 schools in India and 10 international centres in UK, USA, Singapore, Australia, South Africa, Portugal, and schools in Kuwait, Bahrain, Qatar, Abu Dhabi and now in Al Ain. It is an English medium, day boarding school and the school is affiliated to the CBSE, New Delhi. The distinguishing feature of Al Saad Indian School is its insistence on quality education. It aims at the highest standards of academic excellence. It is a child-centered school which ensures the all-round development of each learner . Special care is taken to develop a strong character and desirable values in all children. It has a centrally air-conditioned building with all laboratory facilities, art and crafts room, music and dance rooms, and an indoor play area for the juniors. A unique feature of the school is the existence of a class library and class magazine. Lockers are provided for all the students in their respective class rooms. In addition to this, the school has a well-stocked central library which has a reference section. Al Saad Indian School is a progressive school where learning is not limited to the classroom. The students have a series of interesting activities to widen the horizons of their knowledge. A tranquil environment prevailing in the campus is conducive to creativity and learning. The four pillars of education – learning to know, learning to do, learning to live and learning to be are the focal points of attention. The Principal, who is at the helm of academic and co-curricular activities, is the motivator, facilitator and coordinator of this organization. The school has the approval of the Abu Dhabi Educational Council, and follows its directives.